Our Fire/Safety Specialists at Xi Safety hold Nation Construction Safety Officer/ Construction Safety Manager Accreditation, Certified Fire Protection Specialists and have excellent leadership backgrounds within Industrial and large Municipal Emergency Fire Services. From the Pipeline Right of Way to Camp Construction, our goal is to prevent an event from happening, period. 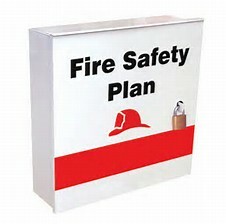 As a technical authority in fire protection and prevention, these staff members provides authoritative advice and guidance as required to ensure the most up-to-date fire prevention concepts, emergency response plans and practice are incorporated into our various client needs. Xi Safety’s Fire Protection Specialists have managed industrial and municipal fire services in Western Canada.